Harness Thor's power with these Avengers Thor Sun-Staches! Transform into the thunder god with these amazing glasses featuring Thor's signature helmet. 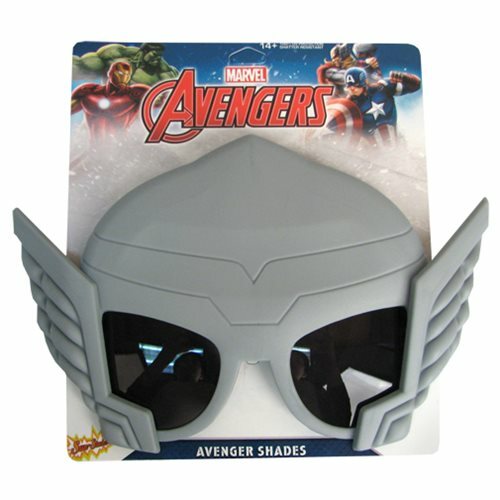 Protect your eyes as you protect Earth with the Avengers Thor Sun-Staches! One size fits most and all Sun-Staches provide 100% UV400 protection. Ages 14 and up.